Beauty related products I got for the month if January! I spent so much this month, well mostly for the excuse of the the Western New Year, the Lunar New Year and Valentines day coming up around the corner. Usually January and Decembers I tend to spend a lot more on cosmetics as its Christmas, Valentines and New Year time! Since we are in Asia, we don’t really spend thanksgiving or Boxing Day unless you’re a American or European. Yet we have Lunar New Year. So lets jump into the beauty products I’ve purchased this month. I’m pretty sure that I got this in the end of December 2012 when I was back in Jakarta. 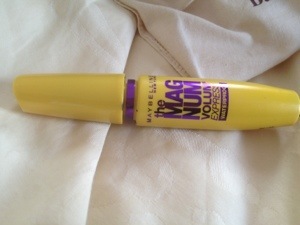 The applicator is very unique, it’s a arched shaped unlike the traditional applicator for mascara. I first fell in love with the green tube that my friend got me for my birthday back in October but I was about to use it up so I had to get one more from maybeline. But sadly Singapore, Malaysia, Indonesia and Taiwan didn’t have them so I settled for this one. I actually liked this better then I thought. It didn’t bring volume, only length but it was alright for me. 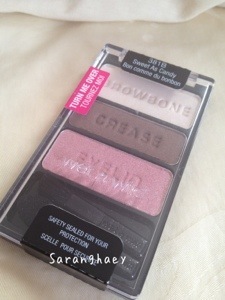 I have been eyeing this eyeshadow trio as well as Nyx Jumbo eye pencils because if its soft colours, but wet and wild is only available in the states for all I can remember. But luckily I found a blogshop that carries this, as well as Nyx products and other products Asia do not carry or its hard to find here. 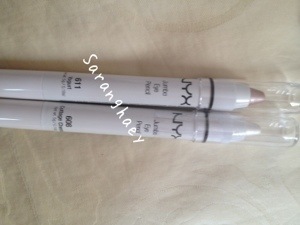 i know there are Nyx counters in Indonesia, Jakarta specifically as i have been there. It is based in Singapore but it ships world wide as well. This wet and wild cost me $8.50. I just received it and have not tried it yet. 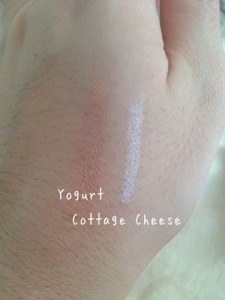 It has a rich and creamy texture, extremely pigmented for the price of $6.50 each. 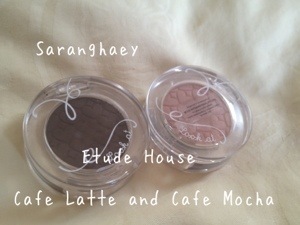 Along with the Wet and Wild trio pallette, I got them from Shopping District . Net . shipping to Singapore has 3 choices, but I chose the free one ^^ I ordered 2 more – Milk and Strawberry Milk but its still under process. 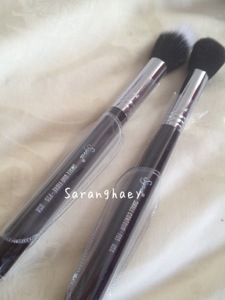 Sigma is known for its quality brushes (and pricy one too) so I decided to buy 2 small ones to try. Since I got it online and had it shipped from the states to Singapore, and the shipping fee really isn’t worth it. If you are in Asia, I suggest using brushes from Nature Republic, a Korean brand. I have their brushes and I feel that it doesn’t have much if a difference. Plus shipping fee, it cost me $50. 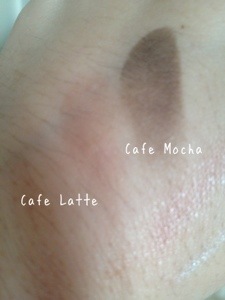 I have had other colours like brown, grey brown and types like that. I really needed a darker colour so I can use them when my bleached hair fades off to dark brown. And since I have practically no eyebrows, brown was too obvious. 2 sticks for $9.90. 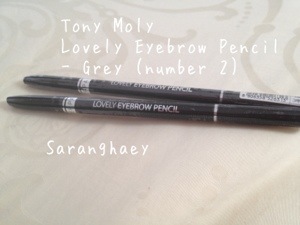 Tony Moly can be found in Bugis Junction. These beautiful matt eyeshadows are really worth it’s $8 because not only its pigmented, it’s not hard to blend out if you have too many put on. A cheaper alternative to Urban Decay, I can say. Compare $30 to $8, why not? Next ›Quick Look: Whats in my MakeUp Bag!